Indian Railways new uniforms: Options given by Ritu Beri for uniform of female commerical clerks. On its Facebook page, the Railway Ministry has put up the various options, and asked people to comment and vote for the uniform design they like. After conducting an online poll to decide the theme of Indian Railways’ new uniforms, the Railway Ministry has now launched a “nationwide poll” to get people to select the individual uniform styles of the railways staff. According to the Railway Ministry, out of the four themes that Ritu Beri had proposed, ‘The Vibrant Soul of India’ garnered the maximum votes, and now the designer has given the Indian Railways multiple options within that theme for different railway staff such as station manager, commercial clerks (male and female), guards, locomotive drivers, coolies, waiters, catering in-charge, housing-keeping etc. 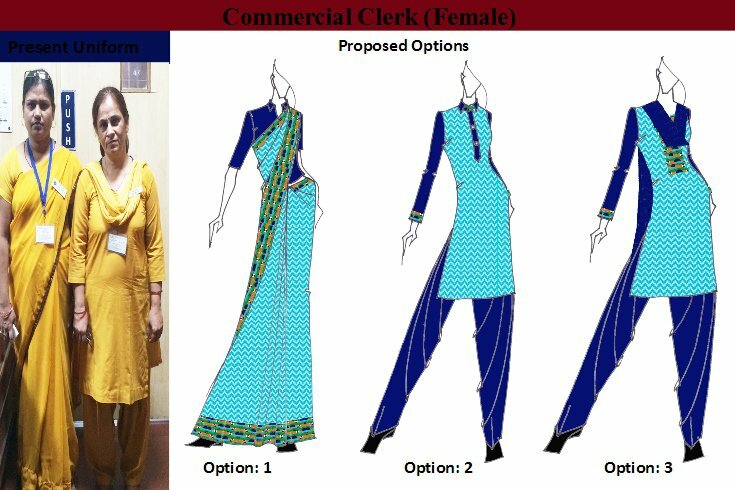 On its Facebook page, the Railway Ministry has put up the various options and asked people to comment and vote for the uniform design they like. 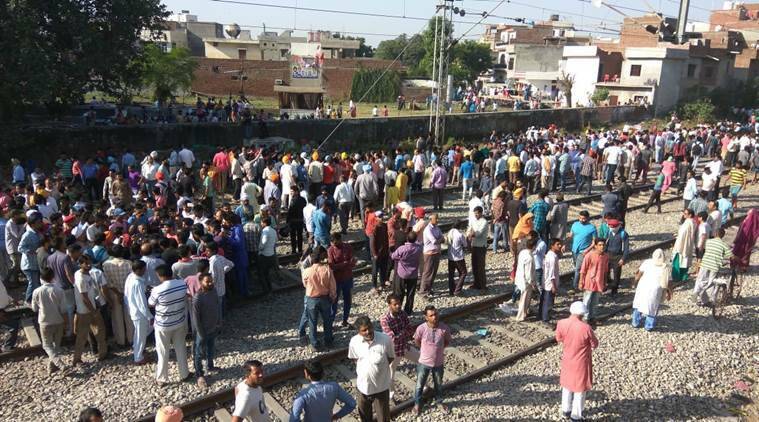 “The passengers will be given 2 to 5 options to choose from for dress codes of Indian Railways personnel including station Managers, chief ticketing examiner, supervisor reservation, in-charge AC coach, Housekeeping, Chief Catering In-charge, Waiter/Bearer/Server, Coolie/Porter, Locomotive Driver, all guards, Commercial clerk (Male) and Commercial Clerk (Female),” said the Railway Ministry post.